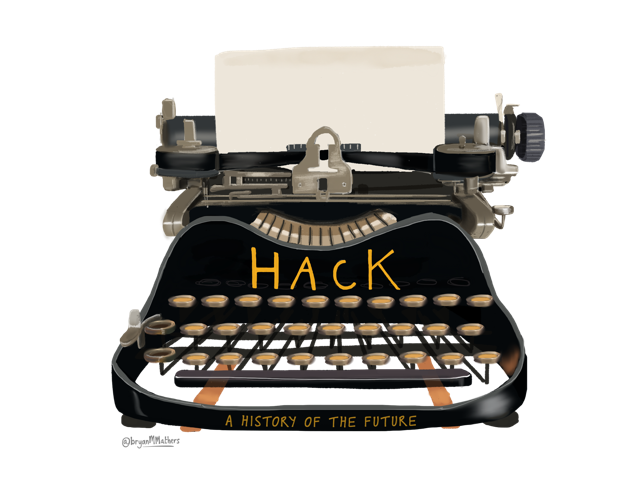 I’m a bit tardy on writing up my thoughts on the “rebranding,” if you will, of Hack Education – namely, the addition of new logos drawn by the wonderful Bryan Mathers. Talking with Bryan prompted me to clarify a bit why the pigeon is such an intriguing figure to me, and I plan to develop some of these ideas into a keynote I’m delivering this fall at DeL. The theme of that conference is “Anxiety and Security” and certainly the pigeon is a bird that seems to crystallize some of our fears – disgust mostly – about urbanization. It’s a bird that crystallizes some of my fears – and also disgust – about ed-tech. 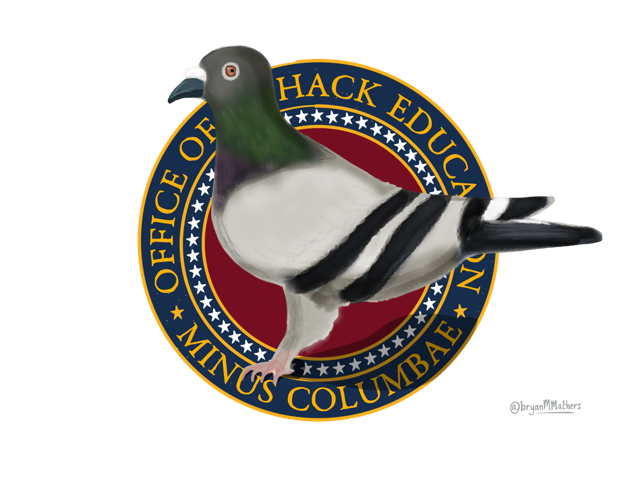 I chose the pigeon as a motif for Hack Education a couple of years ago, as I’ve written previously, because of the role the bird played in the development of educational psychology and education technology. (Sidenote: I’m a little frustrated by recent pronouncements that education technology needs to have its own discipline. Once again, the lack of historicism by ed-tech’s advocates is striking.) The pigeon is probably most closely associated with B. F. Skinner and his work on operant conditioning, but earlier scientists – including those who founded the field of modern educational psychology, such as Edward Thorndike – also worked with animals and built various devices to test their intelligence. When I told Bryan that I wish ed-tech could be “less pigeon,” I meant that I wanted my work to both highlight the longstanding relationship between behaviorism and testing – built into the ideology and the infrastructure since ed-tech’s origins in the early twentieth century – and to remind people that there are also alternatives to treating students like animals to be trained. 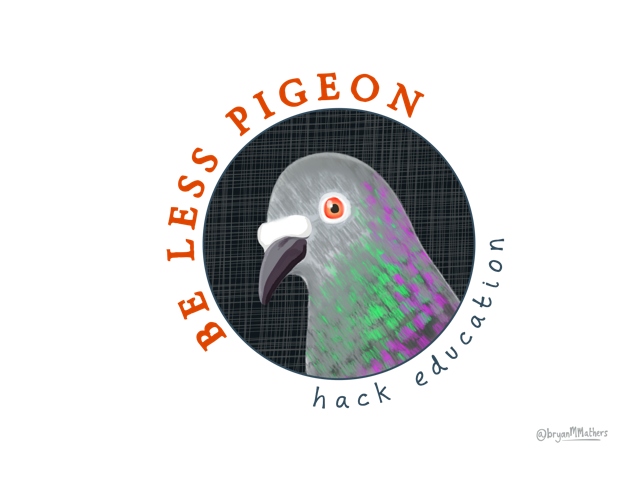 To be clear, the command to “be less pigeon” shouldn’t be seen as any slight on the pigeon itself. Indeed, I find the bird to be quite beautiful and more than a little subversive. Its plumage, captured so well by Bryan, often shimmers with a surprising iridescence. Some species of the bird are incredibly striking – the headdress on the Victoria crowned pigeon, for example. Nevertheless, the black, white, and grey pigeons commonly found in cities elicit strong negative opinions and stern city policies – “Do not feed the pigeons! – (as well as lots of questions about why I’d think to use pigeon imagery so liberally across my websites). But our hatred of these birds (and by ”our" I should clarify that I mean specifically North American and Western European) is very recent. It’s only been in the last century or so that we’ve distinguished the pigeon from the dove. The dove has retained its symbolic power as a bird of peace; the pigeon is now seen as a marker of defilement, of urban decay. The rock pigeon was domesticated some 5000 years ago. Today’s city-dwelling pigeons are the feral ancestors of these domesticated birds. They are the ancestors of the pigeons that escaped. They are neither domesticated nor wild. They are – with apologies to Donna Haraway here – a companion species gone awry, a border creature that might mark its own and our own trainability, a reminder of what happens when our cyborg fantasies, despite their subversive theoretical promise, turn out to be quite submissive to the technologies of command and control.